I’m starting work on chapter 13 in my next book! Although I haven’t decided on a final title yet, I’m considering Not Just My Mother’s Daughter. Book 2 takes place in the early 1990’s. Rose Gardner is faced with a new set of challenges, situations and people to stand up to. 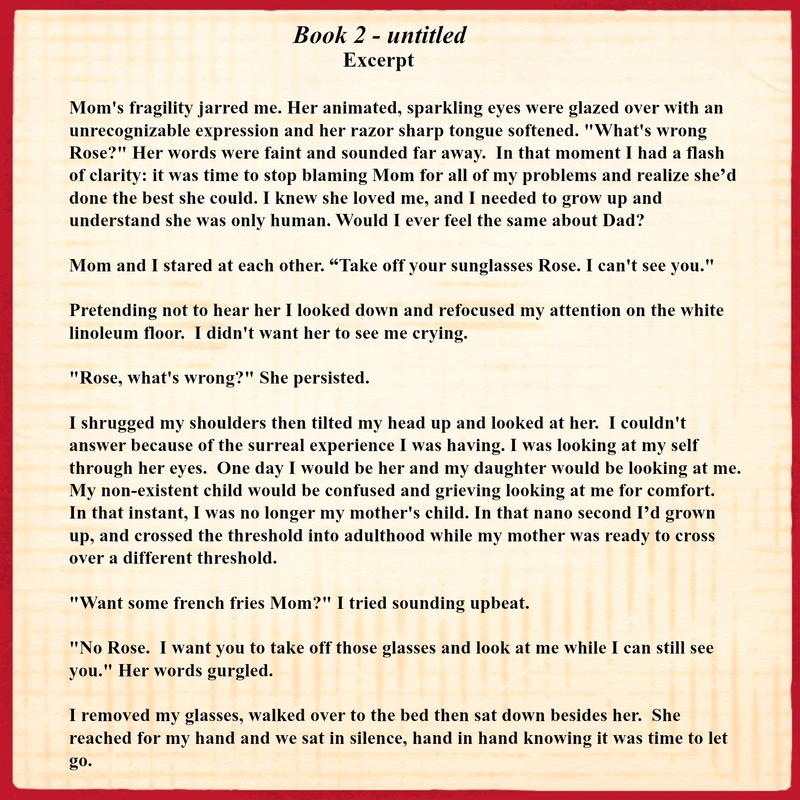 Many of the same characters from My Life as a Doormat are featured and new ones are added as the complicated relationship between mother and daughter is explored. Below is an excerpt. I’d love to hear what you think of the title, and this blurb. Thank you for your comment . The second book is ten years later, and doesn’t include any storylines from ‘My Life as a Doormat.’ Rose’s family is the primary focus, and explores death, loss, growing up and moving on. Thank you for your good wishes.